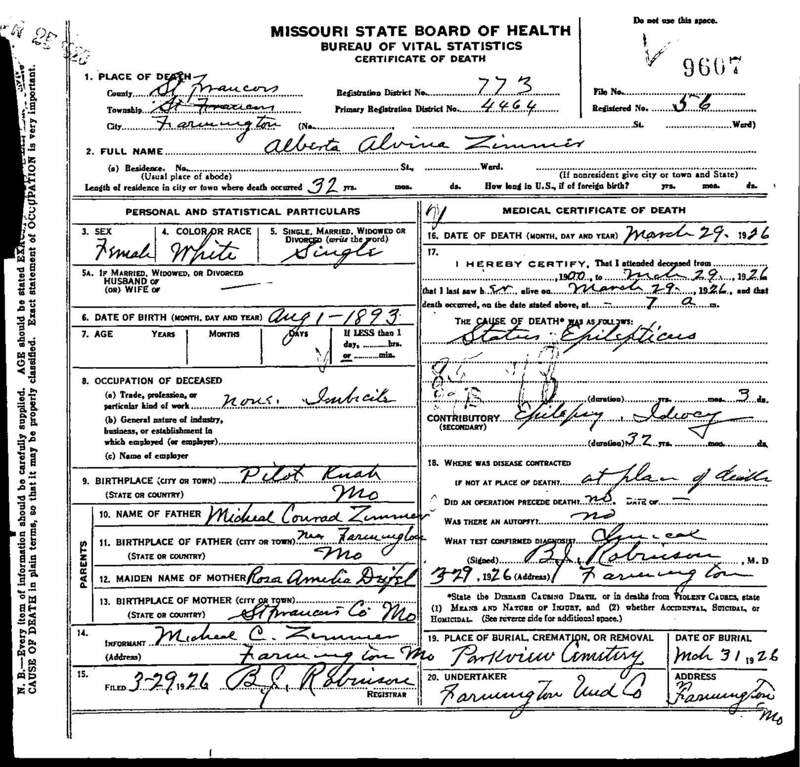 "Death Record - Alberta Alvina Henrietta Zimmer"
Birth location: Pilot Knob, Iron County, Missouri. Cause of death: Status Epilepticus - Contributory: Epilepsy and Idiocy. Burial location: Pendleton (Parkview) Cemetery, Doe Run, St. Francois County, Missouri.